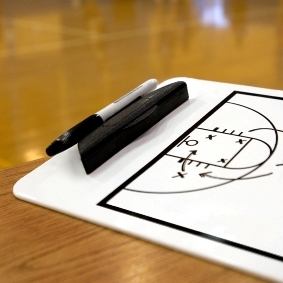 I’m often asked for suggestions for [tag]warm-up[/tag] [tag]drills[/tag] for a [tag]basketball player[/tag]. Here’s a simple [tag]basketball[/tag] [tag]drill[/tag] sent in by Russ that will work well with your team. 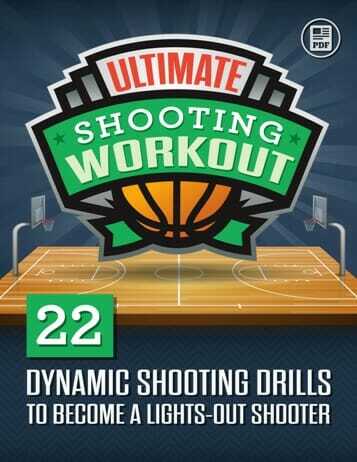 This drill is more efficient than the classic two-line layup drill and is great when you only have a short time to warm up the whole team before playing a game. Players form five lines just above the foul-line extended facing the basket. Use either 3 or 6 basketballs, with 1 or 2 balls each in Lines 1, 3, and 5. Basketballs remain in their own lines. 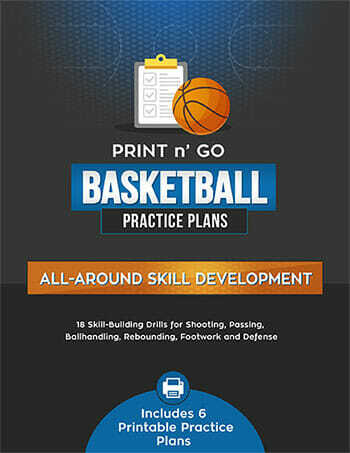 Line 1: Dribble drive and shoot a left-handed layup. Line 2: Play defense on Line 1 using shuffle-slide, get rebound and return ball to Line 1. 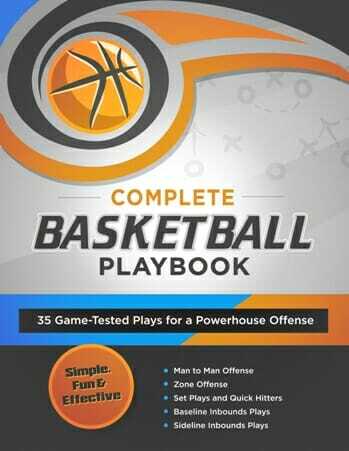 Line 3: Shoot one free throw, get rebound and pass back to Line 3. Line 4: Play defense on Line 5 using shuffle-slide, get rebound and return ball to Line 5. Line 5: Dribble drive and shoot a right-handed layup. Players rotate in order from Line 1 > 2 > 3 > 4 > 5 > 1, and you may want the lines to take turns starting in order to avoid collisions.